The Shingwauk Residential Schools Centre (SRSC) is a cross-cultural research and educational project of Algoma University (through the technological and archival expertise of the Arthur A. Wishart Library) and the Children of Shingwauk Alumni Association (CSAA), which includes former students of the Residential schools, staff, descendants, family, and friends. Algoma University is located on the site (and uses some of the buildings) of the former Shingwauk and Wawanosh Indian Residential Schools in Sault Ste. Marie. Governance for the SRSC runs through a joint AU/CSAA Heritage Committee, which shares responsibility for the Centre evenly between the two partners. The partners work together with the Survivor groups, church entities, educators, First Nations and others to research, collect, preserve, and display the history of the residential and day schools across Canada. They also develop and deliver projects of sharing, healing, learning, and individual and community cultural restoration in relation to the impact of the schools. They also work to realize Chief Shingwauk’s vision of cross-cultural synthesis of traditional Anishnabek and European knowledge and learning systems. The SRSC is located in room EW 202 of the East Wing of the main Algoma U campus building, off of Shingwauk Hall. Archival services, site tours, and services for Survivors and their families are available outside of the hours listed above with an appointment. Site tours must be booked two weeks in advance. Shingwauk Hall, a central and integral part of the Algoma University campus, was first established in 1873 as a residential school for First Nations children, and operated as such until the Shingwauk Indian Residential School closed in 1970. The building is one of the oldest landmarks in the Sault Ste. Marie area. With the support of the Children of Shingwauk Alumni Association (CSAA) and Algoma University, the history and activities associated with Shingwauk Hall are being gathered under the auspices of the Shingwauk Residential Schools Centre (SRSC), allowing the public to become more aware of the vast history and tradition represented by the Shingwauk buildings and site. The SRSC is a cross-cultural research and educational development project of Algoma U, the CSAA, and the National Residential School Survivor Society. Shortly after the closure of the Shingwauk Indian Residential School in 1970, and in the early years of Algoma University College’s relocation to the present site, residential school Survivors of the Shingwauk Indian Residential School, their families, communities, and allies, became catalysts in the growing Healing Movement, culminating in the introduction of the original Shingwauk Project in 1979 and the 1981 Shingwauk Reunion. From these watershed events began the decades-long work of collecting, organizing, and displaying photographs and other residential school materials, conducting research, and educating the public that led to the establishment of the Children of Shingwauk Alumni Association and the Shingwauk Project, now known as the Shingwauk Residential Schools Centre, respectively. For more information, please visit the Shingwauk Residential Schools Centre’s (SRSC) website. Krista McCracken (They/Them) is a public history professional and archivist. They hold an MA in public history from Western University and have been part of the SRSC team since 2010. 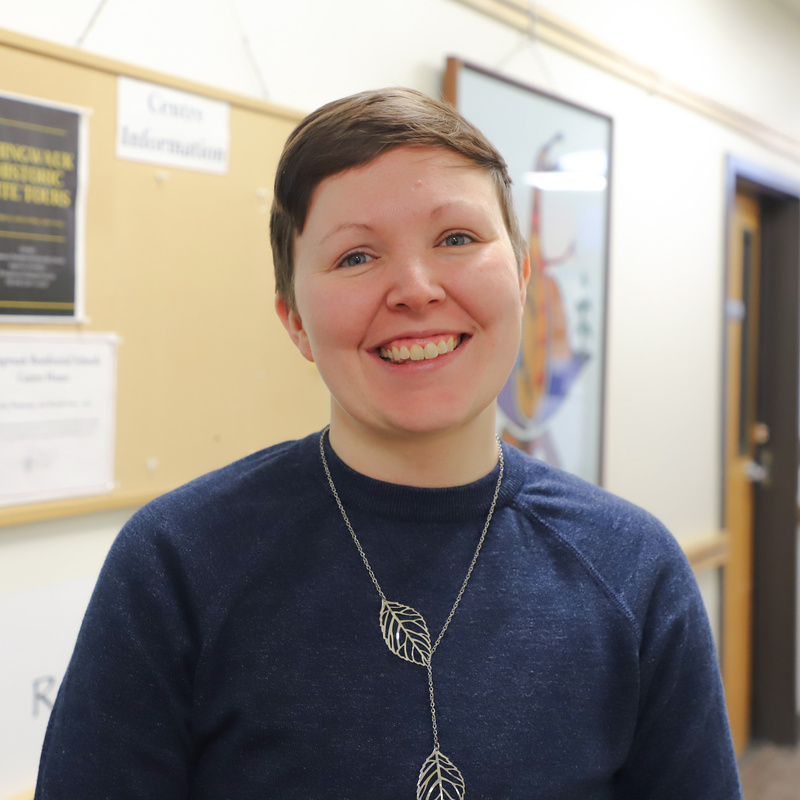 Krista McCracken is the Researcher/Curator for the Arthur A. Wishart Library and Shingwauk Residential Schools Centre at Algoma University. She holds an MA in public history from Western University. Her research interests include community archives, Indigenous archival practice, public history, and community engagement. Liz is an Honors Graduate of Mount Royal College’s Social Service Worker program, holds a B. A. in Anishinaabemowin from Algoma U, a B. Ed. from Queen’s U and is currently pursuing her M.A. in Integrated Studies from Athabasca University. She has been a Youth/Children’s Trainer for over 30 years; a Family and Community Development Specialist serving Canada and the United States and has been a featured Regional/National Conference Motivational Speaker, using storytelling, humour and wit combined with audience participation. Liz, married and a mother of 4 children, is a traditional buckskin dancer. She supports her children while they learn and live teachings of their culture through everyday activities. Presently residing in Sault Ste. Marie, working for Algoma University as the Director of Shingwauk Residential Schools Centre, she also teaches part-time and uses all her recent experience leading the Baawaating Family Health Team and many years of experience working at the local Indian Friendship Centre as a foundation to the community development work she has always been a part of. In this new role as Director of the SRSC, she looks to ensure the legacy of residential school is honored, respectfully remembered and is kindly shared so learning continues to happen. 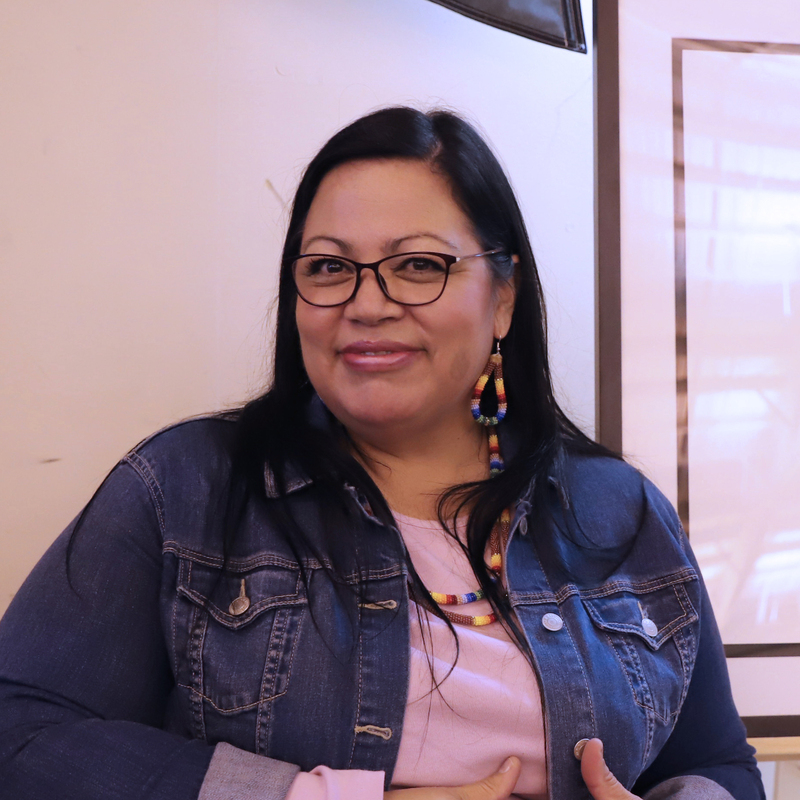 Liz uses the Seven Grandfather teachings in the work she does around truth and reconciliation, using education opportunities to move this important work forward.